I’ve never had much luck with drinking games. The first time I tried to play quarters, there were none to be found. Instead, my friends and I had to make do with a French franc, which was the only type of coin on hand which approximated the size of its American counterpart. We took turns sitting on the bidet for an added height challenge and bounced the coins off the bathroom floor tile, but none of them ever making it into the glass. We may not have gotten drunk that evening, but everyone agreed that the peculiar bruit métallique of the Gallic coins made a lovely sound. During my freshman year at college, my dorm mates and I once crammed into somebody’s room with whatever contraband alcohol and mixers we could get our hands on to play truth or dare. After one or two tequila and warm grape Crush cocktails, I found myself lying my way through the truths and forced to kiss girls on the dares, which my inevitable purple-colored upchucking put a quick and merciful end to. 1. The players must wait until a re-run of The Bob Newhart Show aired on Nick at Night. 2. 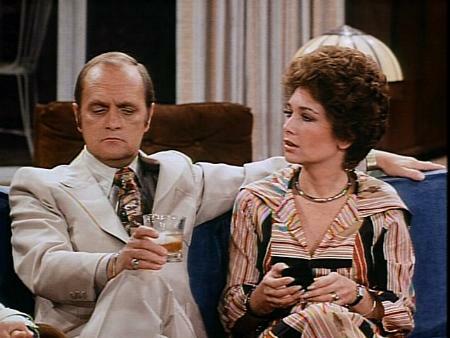 Every time someone on the television screen walked into a scene and said “Hi, Bob” to Mr. Newhart, the game’s participants must drink a shot of hard alcohol. 3. Intoxication, fraternal bonding, and colleg-age hijinks would invariably ensue. 4. Marathons of The Bob Newhart Show were to be avoided. As was the combination of tequila and warm, grape-flavored Crush. Kag, our roommate Craig, and I consulted the tv listings, learned what time he show aired, and then convened in the living room at the appropriate time with a bottle of whiskey and a few shot glasses, one of which had an image of the car in which Bonnie and Clyde were shot to death. I was excited for the game to begin. It would be the first drinking game I had ever played in the privacy of my own home, in my own living room, free from threat of French professors or R.A.s walking in on us and ruining all the fun. We poured our shots and set them in front of us on the coffee table and kept our eyes open and ears sharp and the show’s theme song played. And then we waited some more. Emily, Carol, and Jerry never once managed to say “Hi, Bob.” Not even his airline navigator neighbor, Howard Borden, could lead us to drink. When he barged into Dr. and Mrs. Hartley’s apartment, he managed a “Hi, Emily”, but when it came time to greet Newhart, all he could muster was a curt “Bob” and a slight nod in his direction. It doesn’t count if they don’t add the “hi” before the “Bob”. We watched a truck commercial in which the number 4 was uttered repeatedly. FOUR years or FOUR-ty (it counted) thousand miles, etc. We accomplished what we set out to do. Four (FOUR) shots of bourbon in the span of 30 seconds instead of 30 minutes. And we didn’t need Mr. Newhart’s help to do it. Take that, MTM productions. Meow. I no longer play drinking games– I take the business of ingesting alcohol far too seriously these days. But I might be tempted to play again, if only I could manage to find the right show and build a new drinking game around it. 1. Every time the Dowager Countess, makes a scathing remark to a dinner guest or one of her lesser relatives, quick-tipple some sherry. 2. Each time Edith gets ignored, jilted, or rejected, knock back a glass of port. 3. 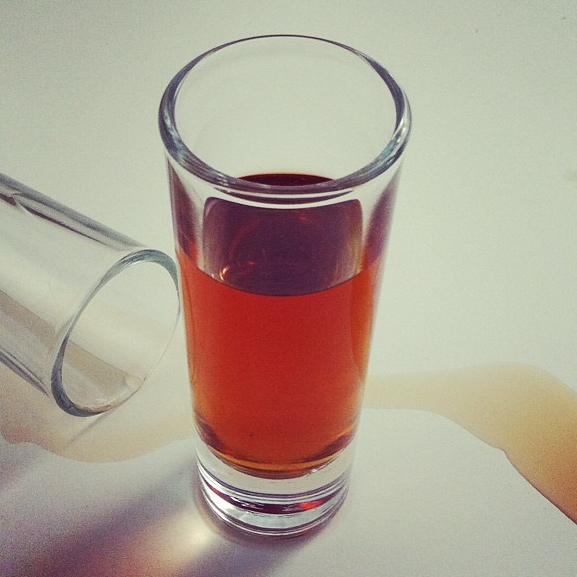 For every death, either expected or not, slam a snifter of brandy. 4. Every time someone exclaims “Hi, Bob”, break open the tequila. After all, the Earl of Grantham’s christian name is Robert and it is the 1920’s. It could happen. But I very much doubt it. I’ve decided to do away with the tequila and warm grape-flavored Crush cocktails of my youth (It only happened once, and will never happen again.) and create something that reflects upon my adult ability to legally obtain alcohol. It is a simple drink to concoct, and it is as dry and wry as Mr. Newhart himself. Make them for your next Hi, Bob party. Or for your first, if that is the case. Caution: Do not drink while watching The Mary Tyler Moore Show. One never drinks while watching The Mary Tyler Moore Show. 1. In a small cocktail shaker, pour all the liquids over ice. Stir until thoroughly chilled, then strain into a shot glass. 2. Go to your computer and bring up The Bob Newhart Show on Hulu or Netflix or some such website. Press “play”. 3. Sit patiently with your drink at the ready until someone ends your misery and says “Hi, Bob.” Should no one speak the words, say them out loud to yourself. It counts. 4. Repeat as often as necessary until the desired level of inebriation has been achieved. * You can easily turn this into a Hi-Bob Hi-ball by adding ice and either soda or ginger ale. This entry was posted in Celebrities, Liquids, Rants and Stories and tagged Bob Newhart, cocktails, Downton Abbey, drinking games, Hi-Bob. Bookmark the permalink. 10 Responses to Hi, Bob. oh we used to get the whole bar loaded playing Hi Bob. you were just unfortunate! i once attended a Hell’s Angels party where they ran out of beer and wash so i ended up drinking Jack Daniel’s mixed with a blue Lil Hugs, which we found in his fridge. it had to be about the same as your grape Crush drink. one last thing- what is Cynar? look, i am a girl who goes to an Angels party, don’t be gettin all booze snooty with me. You could always find a rerun of CSI:Miami and do a shot every time Horatio does something dramatic with his sunglasses. Oh goodness. I seem to have missed responding to a few comments. My sincere apologies for my tardiness. I have the feeling that drinking anytime anyone did anything dramatic on CSI:Miami would lead to death by alcohol poisoning. I am glad you have limited the game to one character’s specific acting tick. I’m only partly ashamed to admit that shortly after college, my roommate and I played the Caligula drinking game, which we made up when we had nothing better to do that evening. Rule 1: Anytime there is genitalia on screen, drink. Rule 2: Any time you become aroused, drink. Needless to say, we both finished our first beers just five minutes into the movie… and then were often caught drinking at different times (he’s straight; I’m not). It was hilarious. And most revealing! Andrew– I’d be rather proud of that game, had I thought of it myself. I am now imagining how drunk the two of you must have gotten during the wedding reception scene. And at the same time, too. 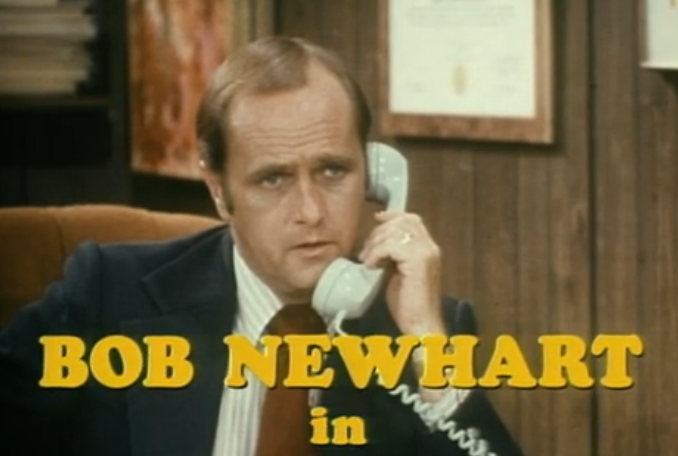 The Bob Newhart show brought back a lot of memories. How about every time someone stops in their tracks pensively – to either eavesdrop or to deeply ponder some inconsequential issue. Susan, I feel that the eavesdropping drinking scheme would be much more effective for Three’s Company, don’t you? And bless you, as always.